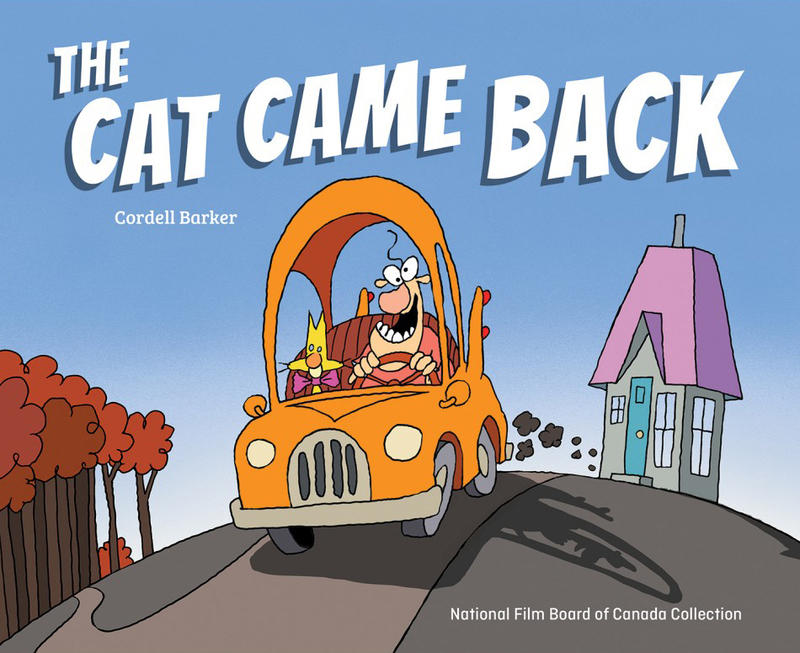 The National Film Board of Canada will be adapting celebrated NFB animated and documentary films and media projects into books. The recipient of the profession’s highest honor, the Reuben Award for Outstanding Cartoonist of the Year is chosen by a secret ballot of NCS members and was awarded this year to editorial cartoonist Ann Telnaes for her unmatched cartoon coverage of the 2016 election and ensuing Trump Administration. 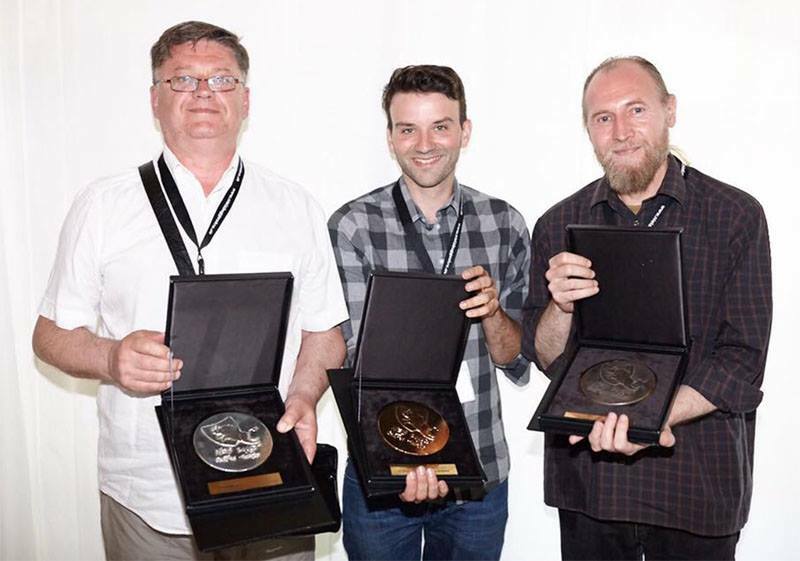 Cartoonists Alexandr Pshenyanikov, Pieter De Jaegher and Vladan Nikolic. 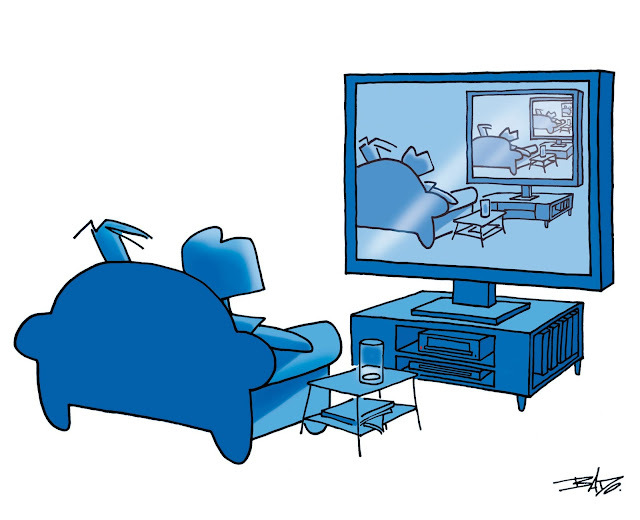 Artists from Belgium, Ukraine and Serbia have won the Niels Bugge Cartoon Award focusing this year on communication. I’ve been terminated as a columnist to The Vancouver Courier. 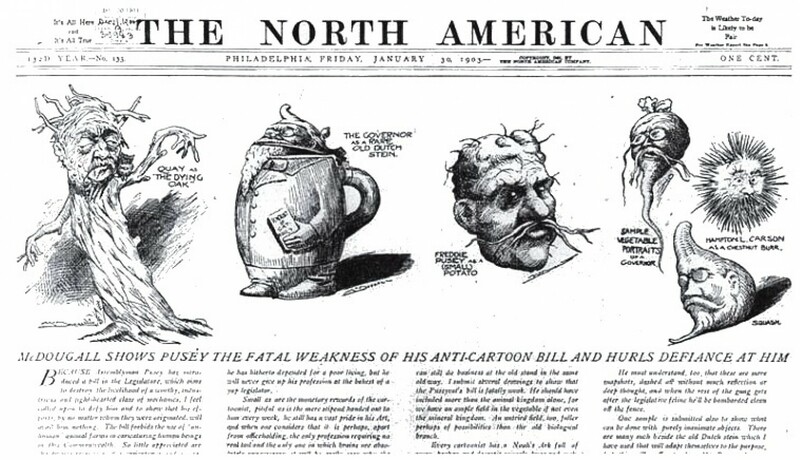 The May 18 piece, noting the news, was also rejected. 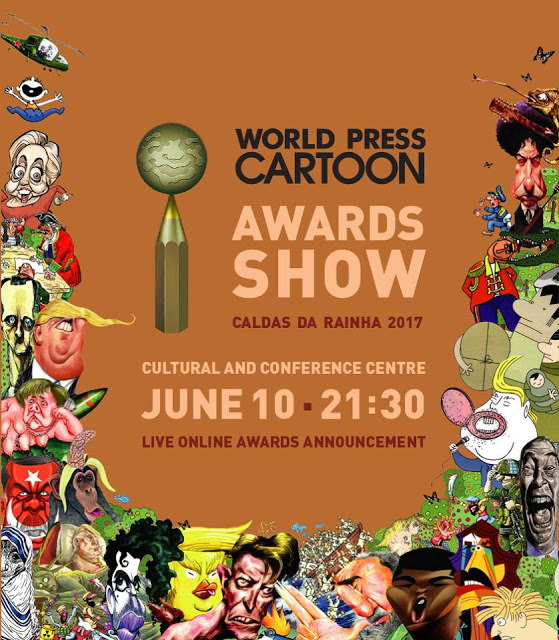 The World Press Cartoon 2017, will announce the nine winners of the various categories on June 10 in Caldas da Rainha. The 2017 awards will be given to Fernandes, Baptistão (Brazil), Gio (Italy), Bonil (Ecuador), Cost (France), Kountouris (Greece), Alireza Pakdel (Iran), Toshow (Serbia) and Swen (Switzerland). Cartoonist Larry Wright died Sunday following a brief illness. During a 45-year span that began with the Detroit Free Press and spanned more than three decades at The Detroit News, Mr. Wright was known nationally for his comic strips “Wright Angles” and “Kit ‘N’ Carlyle,” as well as for editorial-page cartoons that neatly caricatured the haughty and the hypocritical. 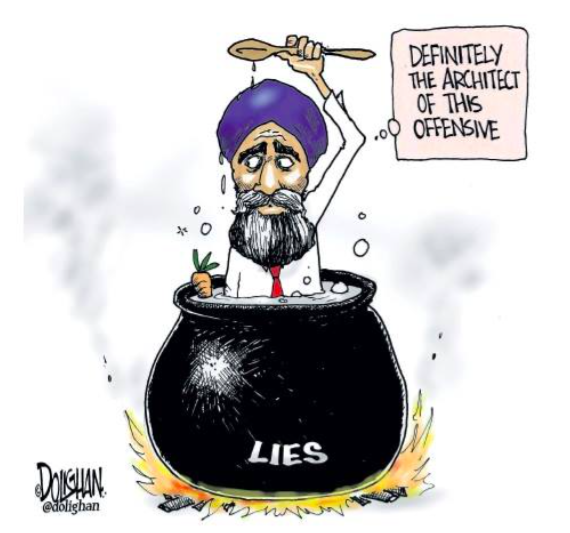 Ian McGillis in The Montreal Gazette. 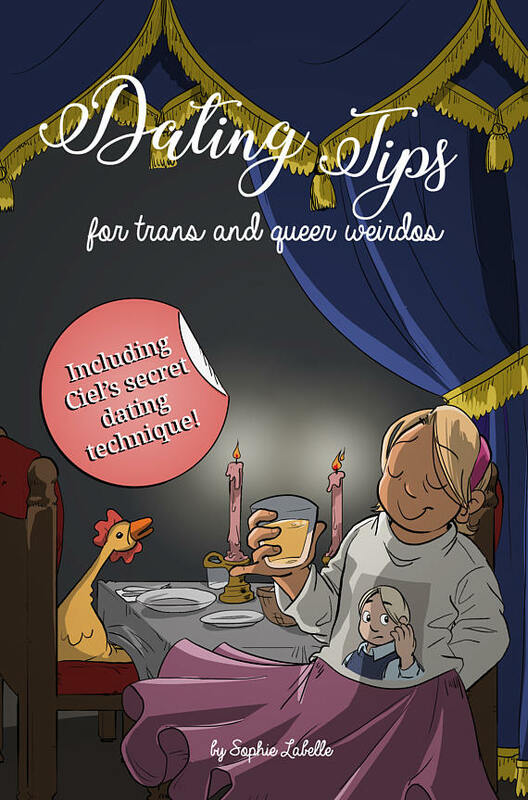 Cartoonist Sophie Labelle has achieved a degree of fame with her webcomic Assigned Male, the serialized story of a male-to-female transgender girl named Stephie and her daily life negotiating gender issues in modern-day Montreal. 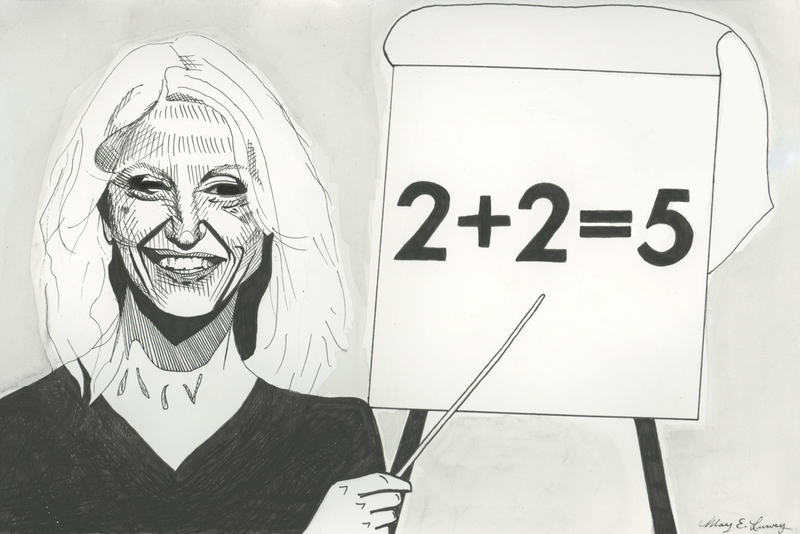 David Cowles is a Rochester, New York-based illustrator, master caricaturist, animator, and teacher. 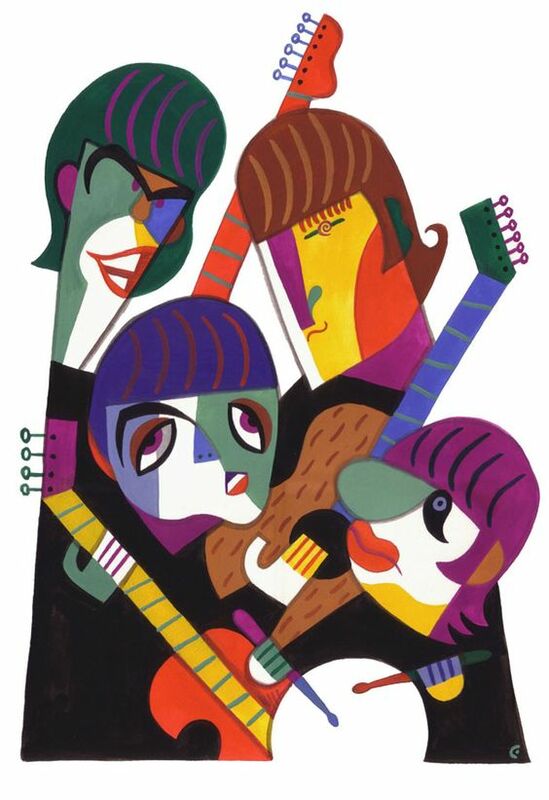 His distinctive, colorful, graphic portraits have graced the pages of countless consumer magazines and newspapers. In addition to his print work, Cowles has created a large body of brilliant animated work, for clients such as They Might Be Giants and Sesame Street. 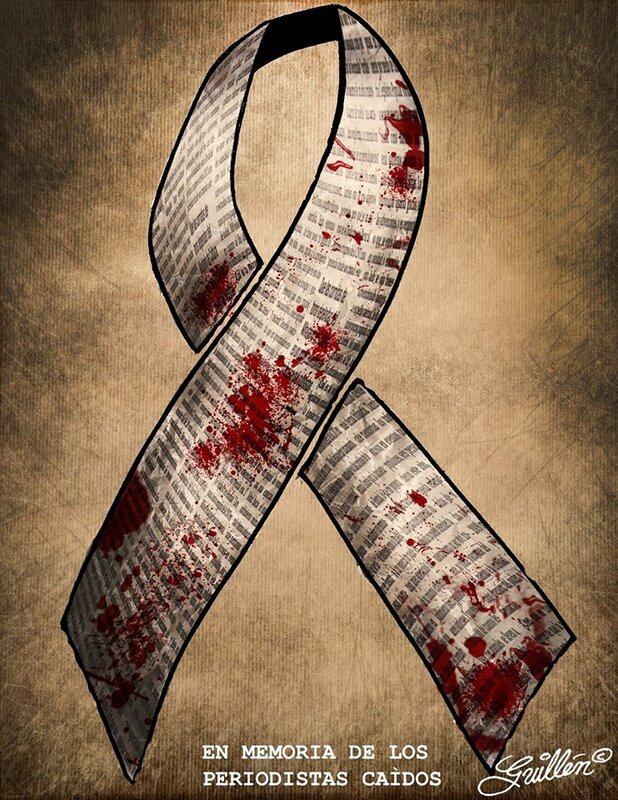 Javier Valdez, the journalist who covered the Mexican narco like no one else, was killed in Sinaloa. 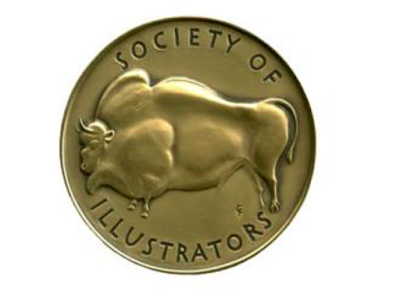 The Society of Illustrators will be inducting Mort Drucker, Bart Forbes, Burne Hogarth, Anita Kunz, George Petty, Ralph Steadman and Gustaf Tenggren to its' Hall of Fame at an Awards Ceremony on Thursday, June 22, 2017. 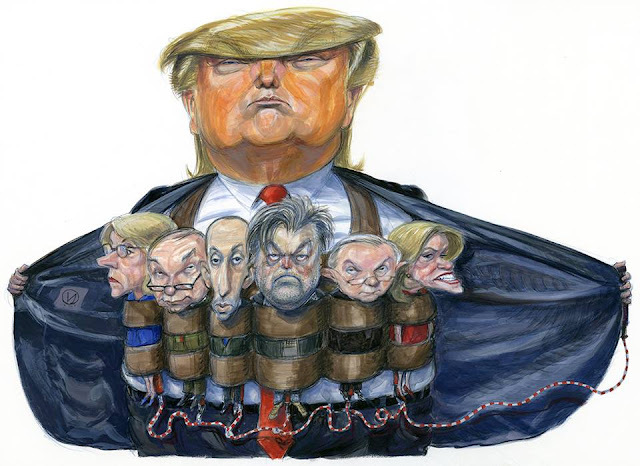 Victor Juhasz is an Upstate New York-based illustrator and visual reporter who has been, for many years, illustrating the politics column for Rolling Stone, skewering political figures of all kinds with perception and wit. 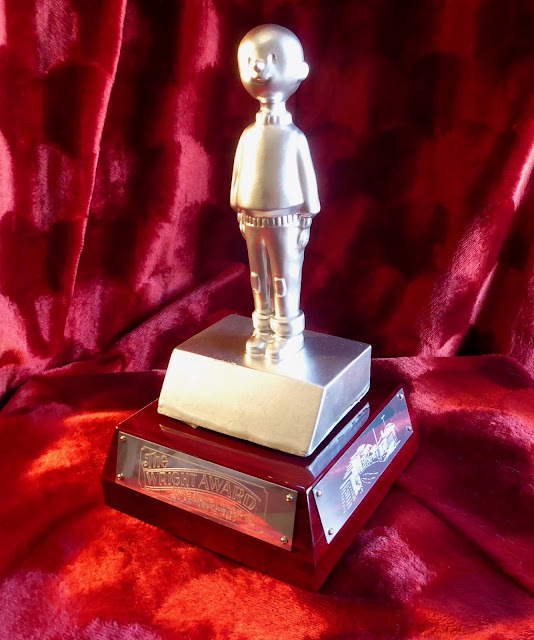 From the Doug Wright Awards' blog. The "Nipper" trophy was created by Seth. The winners of the 13th annual Doug Wright Awards, recognizing the best work and most promising talent in Canadian comics, were announced Saturday evening at a ceremony in Toronto. One of this year’s winners was a first-time Doug Wright Award nominee, and all three are first-time winners. The Washington Post prints a version of Ann Telnaes' speech that was delivered as the keynote address at the Canadian Committee for World Press Freedom luncheon in Ottawa on May 2, 2017. 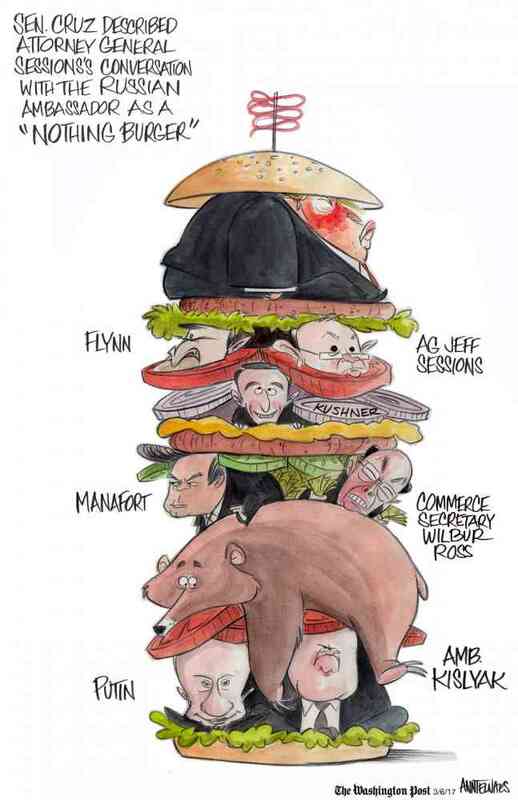 It's funny, stunning and true. And it's still going on today. Read her opening salvo below, and go read the entire speech here. This cartoon, originally published in University of Ottawa's Tabaret magazine, was selected, among 1287 entries, for the exhibition and catalogue of the 5th Niels Bugge Cartoon Awards in Viborg, Denmark. The theme was "Communication". 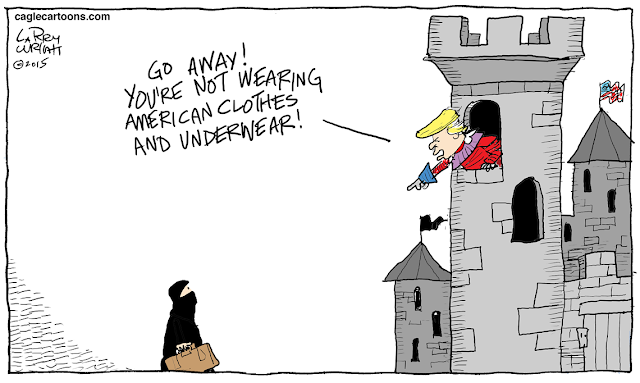 The Association of Canadian Cartoonists will have a table at the 2017 Toronto Comic Arts Festival. Ten countries including Russia, Turkey and India have been condemned for censoring, locking up or threatening cartoonists in a new report published Friday. 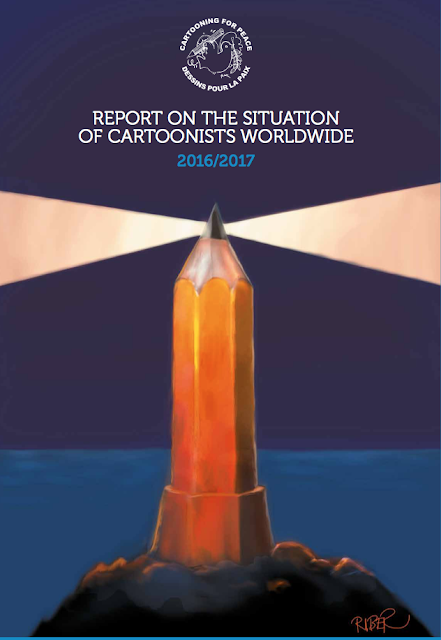 The Cartooning for Peace group said cartoonists were increasingly becoming the victims of repressive crackdowns on free speech. Brian Gable, cartoonist for The Globe and Mail, won the 2016 National Newspaper Award in the editorial cartooning category. David Parkins, also from The Globe and Mail, and Guy Badeaux (Bado) of Le Droit were the other finalists. 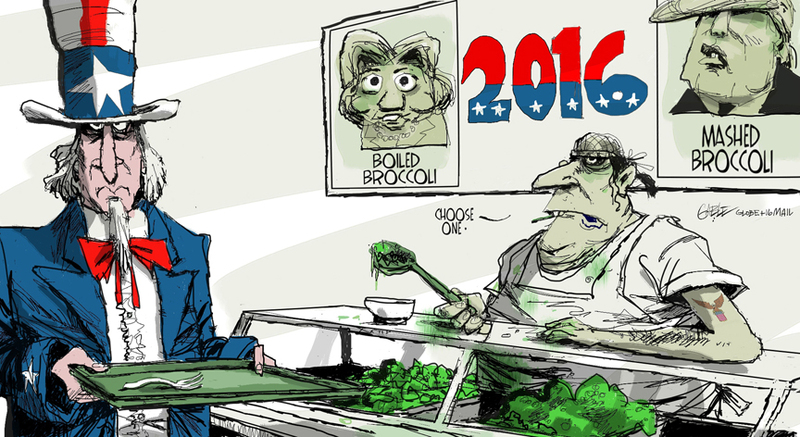 Michael cava in The Washington Post. Bob Mankoff didn’t wait long to let the other cartoon shoe drop. 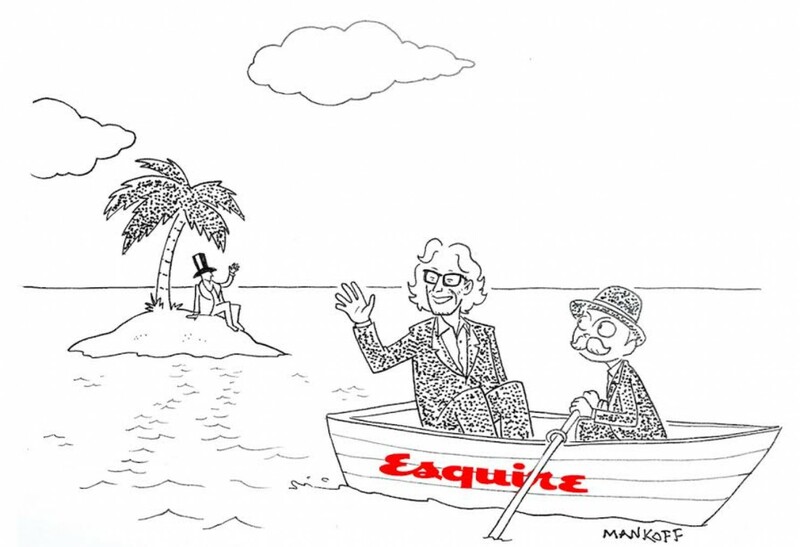 One day after he officially stepped down as cartoon editor of the New Yorker, Mankoff has been named cartoon and humor editor of Esquire, Hearst Magazines is announcing today.